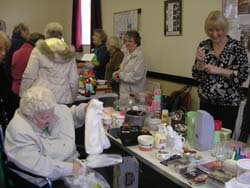 The Friendship Groups Fundraising Coffee Morning was held on Saturday 26th March and was in aid of Mercy Ship (link below). 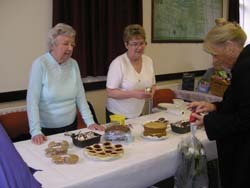 There were all the usual stalls including homemade cakes (always popular), brica a brac, books and tombola. There was a raffle for a lovely food hamper, won by Mrs M. Cunliffe and a guess the knitted golfers name (Lee Trevino) competition won by Mrs E Spratt. Refreshments were provided and the event was well attended. 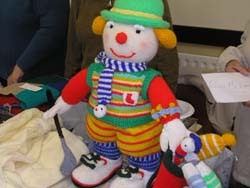 The total raised was £400. A lady from Mercy Ships attended the Groups meeting on 20th May to tell everyone about the charity and to receive the cheque.